Low Water Pressure – low water pressure can be caused by various things that could be as simple as the faucet being blocked or as serious as a leaking pipe system. No Hot Water – diagnosing hot water issues is tricky since an electric heating system contains several elements that have the potential to break or become faulty. Blocked Sewer Lines – if your sink isn’t draining properly or your toilet isn’t flushing, the problem could either be in the plumbing system or in the connection to the main sewer line. Frozen Water Pipes – a pipe freeze can cause pipes to crack or burst. Leaking Pipes – leaking pipes can be caused by a number of underlying issues, including a cracked or broken pipe, corrosion, or water pressure that is too high. Each of these things could potentially indicate a more serious issue and should be looked at by a professional. 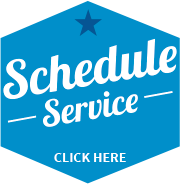 If you have questions about plumbing issues or would like to schedule services, contact the experts at Accurate H2O Plumbing online or at (803) 798-1921 today!